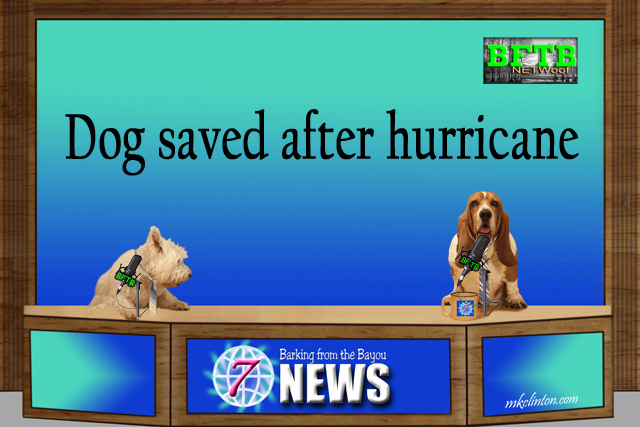 Bentley: “Our second report is from flood-ravaged North Carolina where a sweet Maltese named Soshi was rescued from her home after more than a week. The rescue team had been out trying to find Soshi twice but the water was so high that only roofs were visible. The owner called daily to the Animal Control panicked that she could not return home and get her beloved dog. 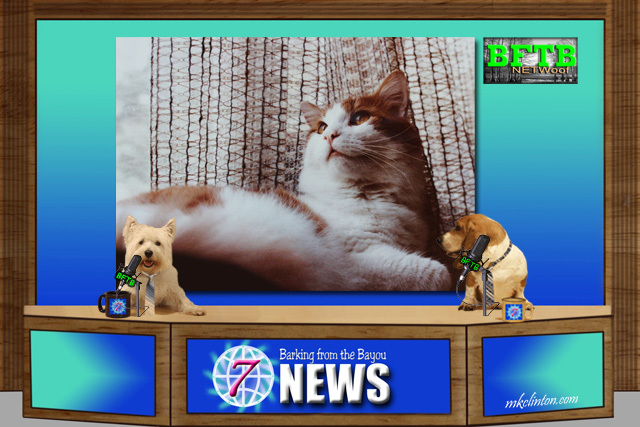 Pierre: “This next story is purr-fect for our feline friends. It all started several months ago when an elderly gentleman came into a cat shelter and offered to brush the cats. What started as an occasional visit became a daily ritual that the cats looked forward to. The man would come with his brush and treats and got to know all the cats. After brushing and taking care of a few chores, this sweet cat man gets comfy and snuggles with a cat for a quick nap. 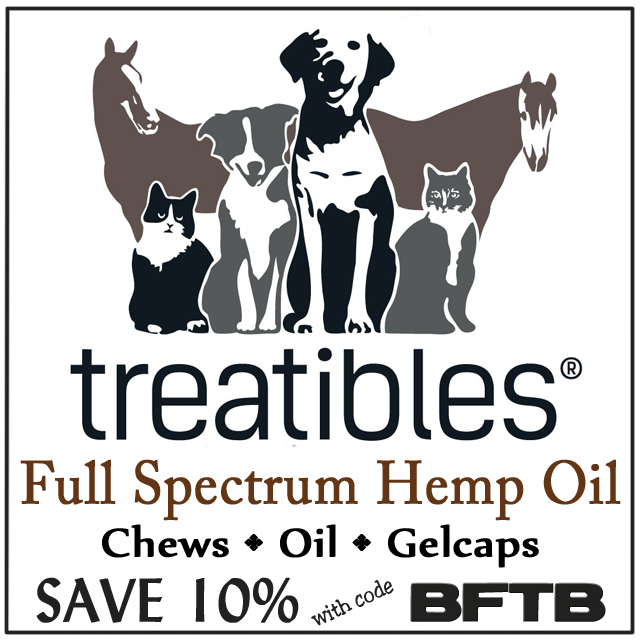 It is making a difference in the cats and the man’s life. A fundraiser in the man’s name has raised almost $60,000 which is being used for surgeries and medical care of the cat’s at Safe Haven Pet Sanctuary in Green Bay, Wisconsin. Bentley: “I would totally volunteer to nap to help shelter cats! Our final story is about a different type of rescue and should serve as a warning. We have all seen both happy and sad occasions where balloons are released into the air. While it is a beautiful display and is done with the best intentions, the reality is those balloons don’t actually float up to heaven. They fall to the ground or in the water and become a danger to wildlife and pets everywhere. That brings us to the rescue of a gorgeous swan. Paul Borges is assistant harbormaster in Fall River, Massachusetts and has been known to save a variety of wildlife on the water over the past 25 years. He was recently called to help a 35-lb. male swan who was having difficulty moving because of three helium balloons wrapped around his legs. Mr. Borges lifted the swan out of the water and untangled the balloons. He then gave the majestic bird a kiss on the head and released him to his eagerly awaiting family. Balloons are such a problem that some areas have banned them. At last year’s clean-up day in Massachusetts and Rhode Island, over 1,000 balloons were pulled from the waterways. We know balloons add a festive touch to parties and celebrations, but please do not release them into the air. Remember what goes up must come down. 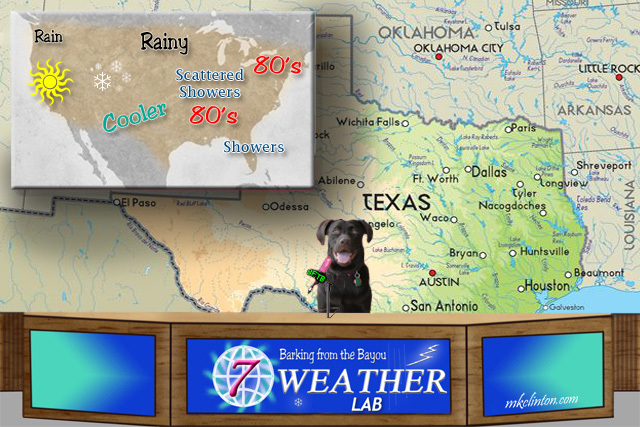 Paisley the Weather Lab: “You are not going to believe this but I am forecasting snow to be falling on our friends in the Rockies! That’s right, we are beginning to see the weather catch up with autumn. Cooler temperatures are going to be felt all over the country and as we know, there is usually some rain that precedes them. We are keeping an eye out on Tropical Storm Michael as it is expected to become a hurricane when it enters the Gulf. It could be a category 3 when it reaches the Florida panhandle on Wednesday. This is likely to bring rain into the southern states. Always check with your local weather stations for any updates or warnings. Bentley: “We hope your mom has a great day and be sure to call if there is any sign of cake. 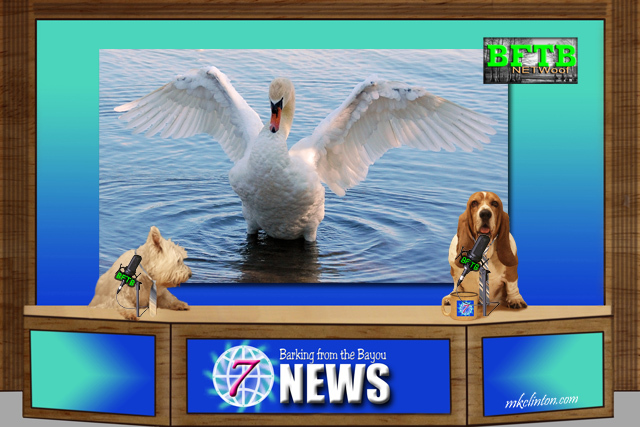 Thank you all for stopping by BFTB NETWoof News. It is our mission to take you away from all the negative news in the world and give you a reason to smile. We’d appreciate you sharing us on your social media. Join us all week for some fun reviews, stories, and tips. Have a wonderful week and be sure to grab yourself some happy. 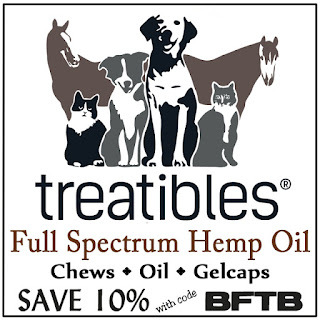 We are affiliates for Treatibles and will receive a commission when you save 10% on your order using our special code: BFTB ~Thank you for your support. 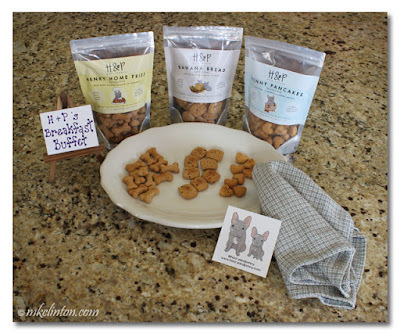 Available for pets & people! We were so thrilled to see Soshi rescued - and what a rescue! Happy Birthday to your grandma, Bentley and Pierre! We hope there will be cake! Happy birthday to your mom. Spoil her rotten! You have some pretty off the wall good news today! Have a great week! Wish you would forecast rain but not a tropical storm for us but I guess your powers over nature are limited. What a story...we hope Soshi gets reunited with his family soon! That man napping with and giving brushies to the kitties is a wonder! Recently, I've seen videos of people rescuing owls,hawks, and ducks caught in stuff, kittens caught in stuff...maybe humans need to remove some of their stuff! All your stories are so good, but we were so touched by the rescue of Soshi. Kudos to those people for persistence. We are so happy Soshi is OK.
We can't get our non-scientific minds around that 3-D printing stuff, but we're just glad it's doing such good things! We saw Soshi's rescue on the news, and it was so amazing. I enjoyed all these heart warming stories. Happy Birthday to your wonderful mom! I saw that rescue too! It was so pawsome, and what a great job Soshi did to stay alive all by herself that whole week! Paisley, you tells your Moms HAPPY HAPPY HAPPY BURTHDAY from me, k?? I hopes you gets some cake and IScream too! 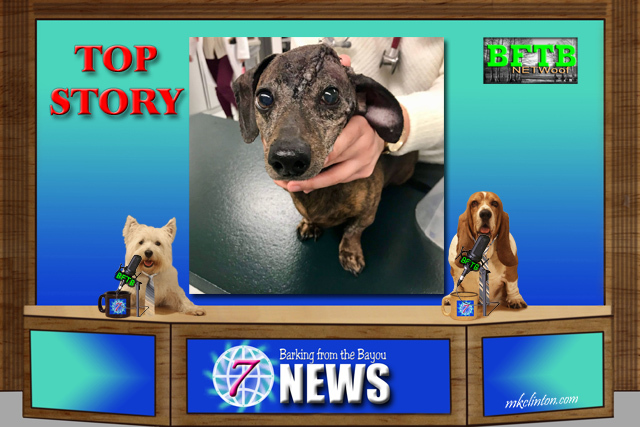 That lucky little weenie dog, what a amazing surgery. Great report! We agree about the balloons. They dont just disappear.